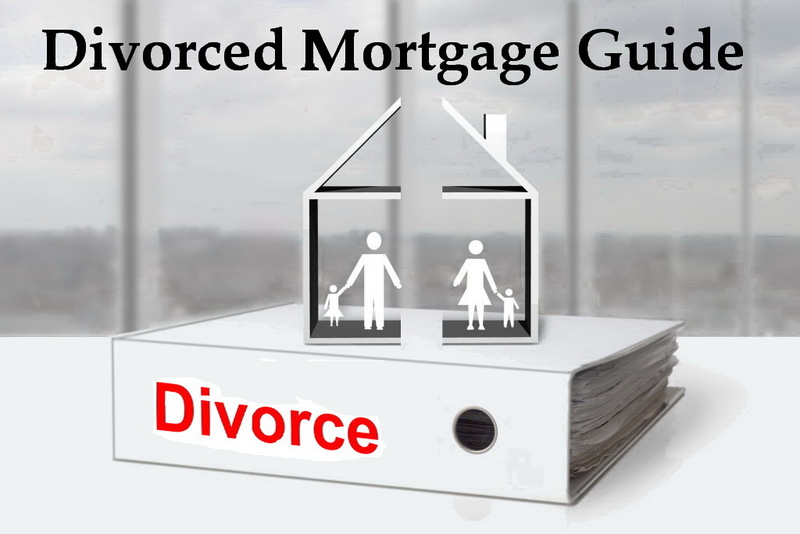 Divorce Mortgage Tips For When You Split. NSH Mortgage has the knowledge and tools to help you fully understand the options you have when you get divorced. Divorces are anything but simple what is the most complicating process is deciding what to do with your co-owned house or mortgage. You are not alone in this challenge, according to the Centers for Disease Control and Prevention (CDC), more than 800,000 couples divorced in 2014, the most recent year for which this information was made available. Roughly 60 percent of the U.S. population owns a house, meaning most divorcing couples must make tough housing decisions. There are time tested options for the mortgage that will help both parties move on after separation. These options depend on factors such as home equity, credit scores, and whether one party wants to remain in the house, and whichever situation your put in can be resolved by one of the options that is listed below so lets go over them together to help you out in a sad and difficult time. The cleanest solution would be to refinance the mortgage and leave only one person’s name on the loan. After the refinance closes, only the person whose name is on the mortgage would be responsible for making the monthly payments. You could then take the name of the person who will not be making the mortgage payments off the title of the house. If necessary, use a cash out refinance to pay out the portion of equity due the departing individual. That is the simplest solution, but it only works if certain conditions apply. There are at least a few issues that can stop you from completing a refinance. Income – You might not have the income to pay the mortgage on your own. You find that the lender will not approve the loan for a single income household. Unless you can increase your income quickly, you may have to sell the house. Credit – Maybe your credit scores have fallen since you took out your original mortgage loan. You might no longer qualify for a refinance. You can overcome a low credit score with a rapid re-score, but success using that method is far from certain. Often, the only fix for a low credit score is to rebuild credit history over a long period of time. Equity – If you recently purchased or bought the house when values were higher, your house may not have enough equity to refinance. For instance, if you have built only a few percent in equity, a refinance could be cost prohibitive or altogether unavailable. Fortunately, there are mortgage options that can help you take care of the lack of equity. The Home Affordable Refinance Program, or HARP, might work if you purchased your house before June 2009 and are current on payments. The remaining spouse will have to re-qualify for the loan to prove they can make the payments without the assistance of the former spouse. Alternatively, the remaining spouse needs prove that they have been paying the full mortgage payment for the past 12 consecutive months. If you purchased or last refinanced your home with a FHA loan, you are permitted to refinance to remove a borrower. However, the remaining spouse must show that he or she has been making the entire mortgage payment for the past six months. This option is best for those who have been separated for at least this long. But it is not an ideal if you need to complete your mortgage situation right away. You can use a VA streamline refinance to remove a spouse after a divorce. Typically, the veteran must remain on the loan. If the departing individual is the veteran, the remaining spouse would have to refinance into another loan type. However, if the remaining spouse is eligible for a VA loan, he or she may opt for a VA cash out loan. This option allows homeowners to open a loan of up to 100 percent of their home’s current value. This feature could enable the remaining spouse to pay out the departing partner’s equity in the home according the divorce decree. There is no shortage of refinance options in the face of divorce. But if you cannot refinance for whatever reason, then you will need to find another solution. Selling the house is another option which you and your spouse would have to agree on placing the house on the market and then split the profits when it sells. You would still need to determine how mortgage payments are managed before the sale closes, but this is a short term rather than a long term challenge. Again, though, this solution might not work in a divorce case. Maybe you and your spouse had children, and you do not want to force them to move out of the house in which they have grown up. Or, the real estate market in your area is a weak one, and you are afraid you will lose money if you sell. Equity is important when selling since, it typically costs between seven and ten percent of your home’s value to sell. This total consists of agent fees, taxes, title insurance, and other fees. In other words, you may have to sell a home for $220,000 even if you only owe $200,000. Otherwise you might need to come in with a check at closing of the sale. If you cannot sell your home or refinance your mortgage loan, there is one more option. But it is not without its risks. If you are not willing or able to sell or refinance your house, your other choice is to keep the house and the mortgage intact. Both parties remain on the loan and liable for the payment. This requires specific language in the divorce agreement about whom will make the mortgage payments each month. Maybe your agreement will state that your former partner will pay the mortgage, even though you and your children will be the ones living in the house. The agreement can possibly state that you and your former partner will have to pay half of the mortgage each month. Keep in mind that this situation can lead to missed payments if your former partner will not or cannot abide by the divorce decree. Lets say your previous spouse is supposed to pay the mortgage each month, but your name still remains on the loan. If your former partner misses a payment, your three digit FICO credit score could fall by as much as 100 points. When your name continues to be on the loan, your lender finds you equally responsible for paying the loan payments each month. Your mortgage holder will not dismiss late payments, even with a divorce decree that states your ex is responsible. Therefore, a shared mortgage after a divorce might only work well in amicable divorces. You can take certain steps to protect yourself. The divorce papers could state that your former spouse will live in the house and apply for a refinance at a certain point. When the refinance is complete it will remove your name from the mortgage. Your divorce agreement may state that your ex has to keep making their payments until the refinance officially closes and you are no longer responsible for the mortgage. You might provide additional protection for yourself by inserting a clause in your divorce agreement. It would say that if your ex does not close the refinance during a certain period, the house that you once lived in will be put up for sale. Remember, though, that no matter what your divorce papers say, you can never fully protect yourself from the actions of your former partner when a mortgage is involved. Even if the divorce papers contains penalties, there is no guarantee that your ex will keep making those payments. Divorcing couples who want the safest option for all parties may want to sell the house or refinance the mortgage.